this is a cat that lives on the barlow respiratory hospital grounds in elysian park. i see her around when i’m walking through the park to chinatown. she is super-friendly, very healthy, talkative, and has 7 toes on her front paws just like my cat, motor. i’ve never been able to ask about her name, so i nicknamed her thumby. i was told that some of motor’s siblings had this coloring, so i think of her as a distant cousin. for awhile i didn’t see her around and feared the worst, but i was really happy to have a little thumby visit last week. She is so cute. I am glad she is still around to hang out with you. that’s so sweet! 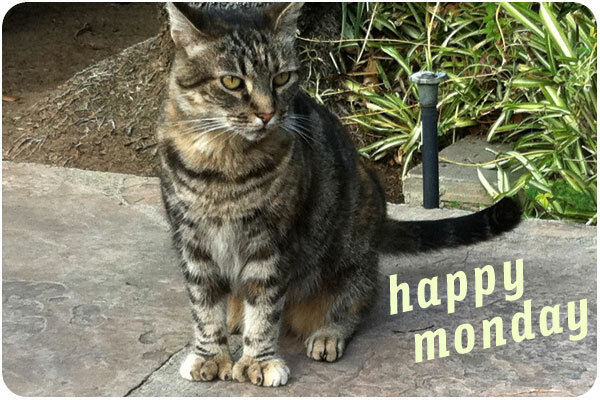 maybe all 7 toed cats are friendly like motor? they have extra to give! The cat is super friendly. I visit Barlow very often and her name is not Thumby, its Darla. oh, i’m so glad to know her real name! thanks.